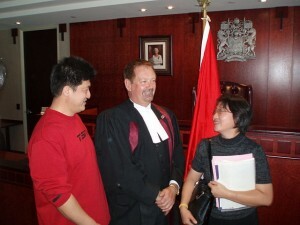 Following recent changes to the citizenship application process that increased the difficulty of acquiring Canadian citizenship, including the introduction of proof of minimum language proficiency and an increase in the difficulty of the citizenship knowledge test, the federal government is reversing course to make it easier for permanent residents to meet citizenship eligibility requirements. According to an announcement made on Monday, Citizenship and Immigration Canada (CIC) has begun providing permanent residents who take their citizenship test their results immediately, and if they fail, allowing them to book another test a few weeks later. The previous rules required a citizenship applicant who failed the citizenship knowledge test to wait months to have an interview with a citizenship judge who would then decide if they would be granted citizenship. The new rules will also apply to applicants who are currently waiting to see a citizenship judge due to having failed their knowledge test, allowing them to take their test in weeks and obtain citizenship. Furthermore, CIC announced that family members are now able to obtain their citizenship individually without all members of their family getting approval of their citizenship application. The previous rules required all members of a family to obtain their citizenship together, which prevented some individuals who otherwise qualified for citizenship to have to wait because the citizenship application of one member of their family was not approved. The two new measures are expected to speed up the citizenship acquisition process. Approximately 200,000 people become Canadian citizens each year, which is about two-thirds of the number who receive permanent residency. The percentage of citizenship test takers who failed their exam nearly quadrupled from 2009 to 2011 due to a March 2010 change that raised the passing grade of the test and increased the number of topics it covered.